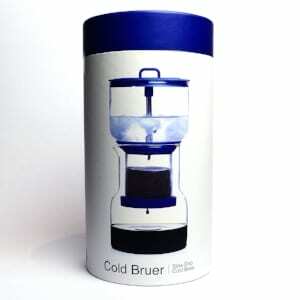 The Cold Bruer utilises a clean and functional design, while maintaining the quality of the brewing process, and ultimately the end product. Cold brewed coffee has much less acidity and bitterness which makes it perfect for iced coffee drinks. Drip by drip Cold Bruer’s slow hypnotic process unmasks the natural sweetness, and full-bodied origin flavors of any coffee you brew. Slow drip methodology eliminates the risk of over extraction, a common issue with full immersion cold brewing.